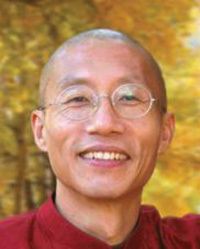 Master Mingtong Gu is an internationally recognized teacher and healer who received his training from a variety of Grandmasters of China and Tibet and at the world's largest Qigong hospital. This "medicine-less" hospital, Zhineng Qigong Center, has treated over 200,000 patients with over 185 different illnesses. He is the founder of the Chi Healing Center and Wisdom Healing Foundation, and has taught Qigong to thousands in the USA, China and Europe. For information on Wisdom Healing Qigong visit www.chicenter.com.